This worksheet allows students to deepen their understanding of the environmental effects on new life for... (more)ms by investigating how altering variables can either increase or decrease population. They state a claim and support it with evidence and reasoning. A modified version of Effects on the Environment with an additional animal adaptations component. Student worksheet to complete while completing Gizmo. The Effect of EGood way to practice creating data tables and analyzing each set of data. 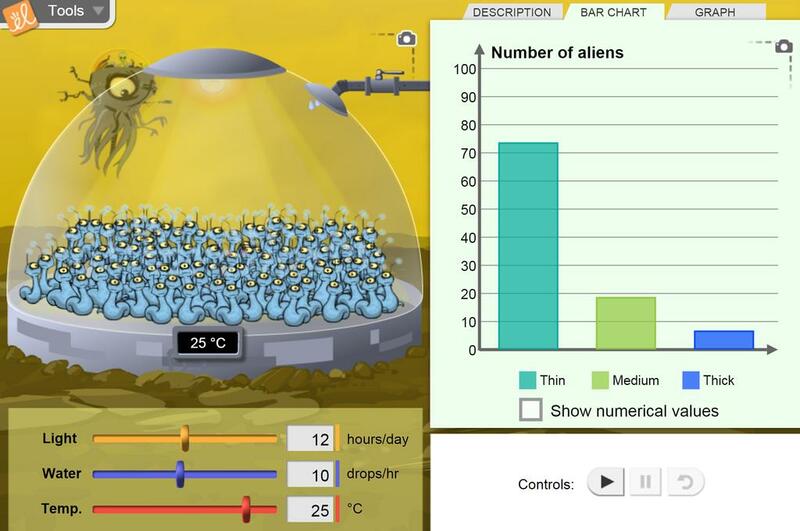 Love this Gizmo for teaching the effects of variables. Alien responses are discrepant events that intrigue students to collect evidence!